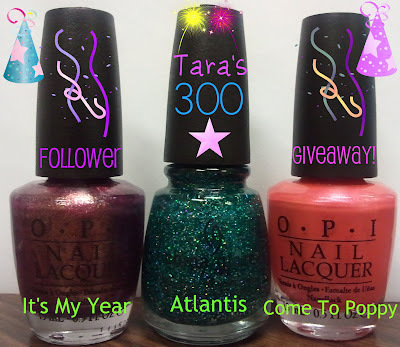 Tara Star Nails: Tara's 300 Follower Giveaway! I have each of theses so I'll sit this one out. Congratulations and good luck everyone! congrats on 300 followers!!! thanks for the giveaway!! Congratulation for your 400 followers!